©REUTERS - Frozen jeans in Saint Anthony Village, Minnesota. The polar vortex – which mainly immerses the east and the Midwest of the United States in ice-cold temperatures – may then all public life for the most part, the Americans do not lose their sense of humour. 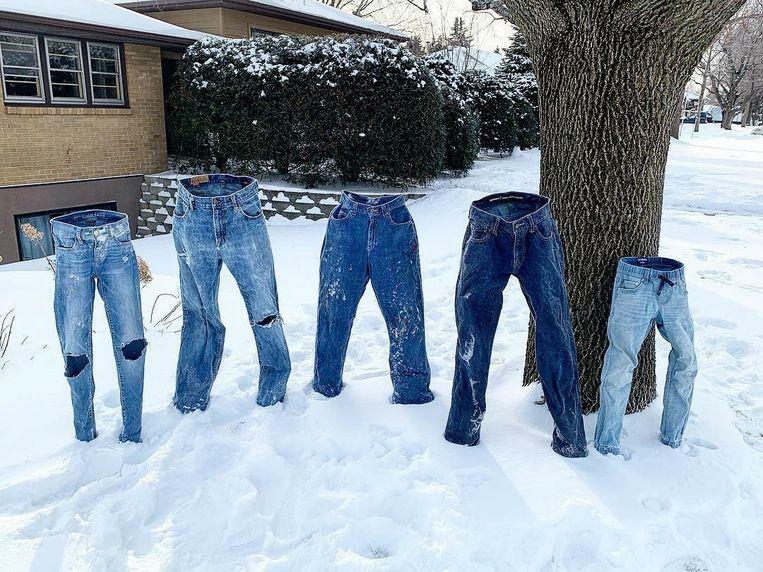 More frozen jeans are showing off in the snow-covered front gardens of the state of Minnesota. More than 216 million inhabitants have been affected by the polar vortex. In many places, the mercury plunges well below freezing temperatures to more than 30 degrees below zero. The wind even ensures that the wind chill feels even colder. 21 people were killed and thousands of flights were cancelled. But fortunately, it is not all of the trouble and ailment. The extreme weather also stimulates funny experiments. 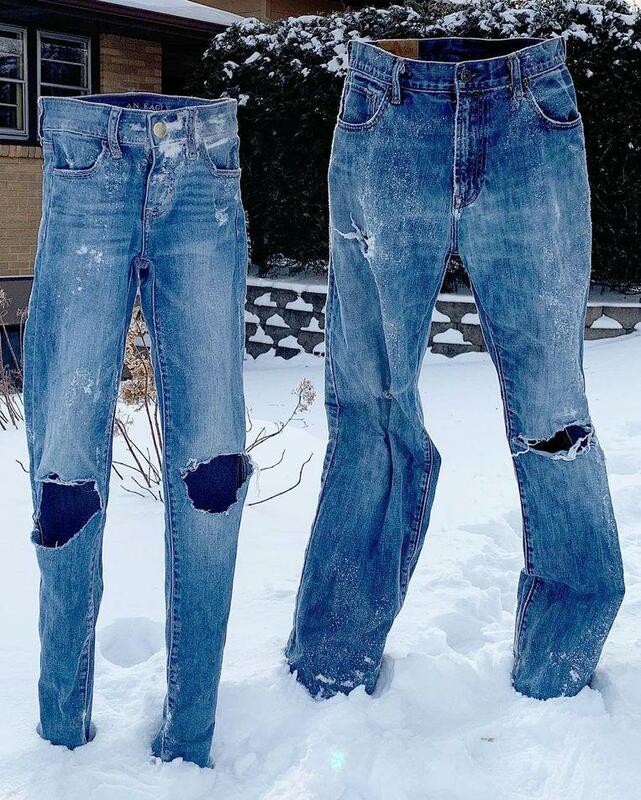 For example, Tom Grotting from Minnesota had his jeans trousers freeze six years ago before being put up in the front yard. This polar vortex was the perfect opportunity to try again. Pictures of the funny scene have gone viral this time with the hashtag #frozenpants and his experiment is getting more followed. Tailor-made suits must also be believed in the meantime. Do you want to try it yourself? That’s how you work. You hang the soaking wet clothes outside on a washing thread when it is freezing. After some time, you can then model and dress the clothing in the garden. Fun assured as shown in the images below. ©REUTERS – Frozen jeans in Saint Anthony Village, Minnesota.